Poker Raj was introduced only a few weeks back to India’s online poker platform. Now, there is yet another company that’s all set to take the plunge. Caretel Infotech Limited is a software company and the latest one to join the mix. This outsourcing company recently launched its poker portal “Poker Johny” with a mission to expand its company’s portfolio of offerings. The website of the portal is registered to the CEO of Caretel, Rajesh Sehgal. The company was promoted by the Dalmia Group owner Sanjay Dalmia who is an ex-member of the Parliament of India and represents Uttar Pradesh. Dalmia has close connections with the founder Mulayam Singh Yadav, the Samajwadi Party member. The Dalmia Group runs numerous sectors which include tobacco, textiles, and chemicals and so on. It is also a parent company to Delta Corp via a subsidiary as well as Viaan Industries. These two companies are known for operating online poker portals. Considering the uncertainty of poker mainly in India, there may be some hiccups, yet it is rising in popularity. There are many high profile games and celebrities who have placed their weight on poker and this, in turn, has helped for expansion. It is one of the viable businesses and lawmakers are consistently working to form a national response to the common questions raised on whether poker is gambling or pure luck. At the request of 14 poker-arcade operators for an extension of the deadline to relocate, The Zoning Board has decided to carry out a hearing. Chris Ferguson is assured to be crowned the 2017 World Series of Poker Player of the Year. The news was received in an announcement by the WSOP via Twitter on Monday, following the elimination of second-in-points John Racener from the final POY-eligible event of the year. For his POY win, Ferguson will be offering an entry into the $10,000 buy-in WSOP Main Event next year and get his face on a banner that will be unveiled in the Rio All-Suite Hotel & Casino with the other former WSOP Players of the Year and WSOP Main Event winners. The hit and run method of playing cash games has its pros and cons, provided a player knows the right etiquettes to follow. There is always the question of how soon a player should leave a game after a big pot is won. This is a useful strategy to follow provided a player knows to use it well enough. Cash games offer great flexibility to the poker players. In such games, unlike at a tournament, one can join or leave a game as per one’s convenience. Opinions vary as per the etiquette to follow as to when one can leave a cash game. The concept of hit and run is a popular strategy that many follow. 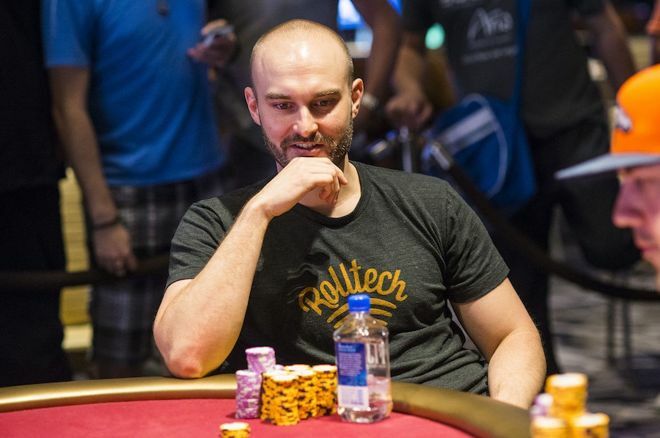 One of the most popular tournaments in the World of poker got underway with 7 levels of first day action at ARIA, and here, the $300,000 Super High Roller Bowl (SHRB) finished up play and Byron Kaverman got the chip lead. In the tournament, he turned his stake of 300,000 into 1,247,000, and thus got a strong lead over Leon Tsoukernik (912,000) the owner of King’s Casino and champ of EPT Prague $50K Super High Roller (SHP). 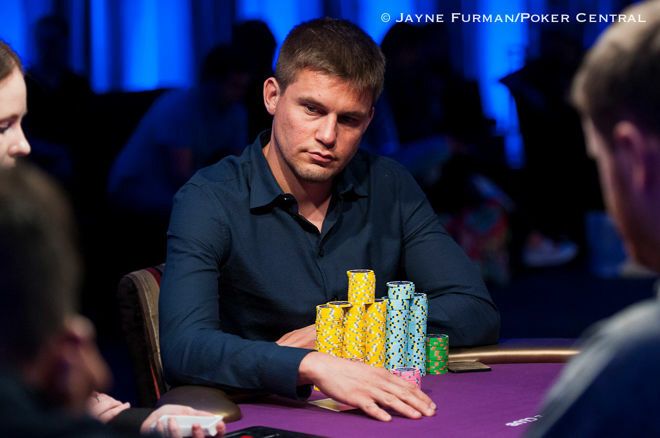 Fedor Holz was crushed by high roller and finished third in the event with 803,000, last year in the same event he won and finished in second position with $3.5 million. Chris Moorman and Bryan Paris are keeping company. The California based Professional Poker Bryan Paris had moved to Europe, this he has done to play online. According to PocketFives’ tracker, Paris has become the second player of poker who has surpassed the mark of $10-million in online tournament. The Englishman poker player Chris Moorman, is the another pro who surpassed the mark of $10-million in online gaming. In his career till date Moorman has won more than $13.8 million in online tournament. After Black Friday, player of poker (Many) left the US in and searched the new places where they could play their game comfortably, and do the activities that they have been doing since years for living. In the course Paris moved to Amsterdam and settled there. He is doing well in the city and earning substantial amount by playing game.